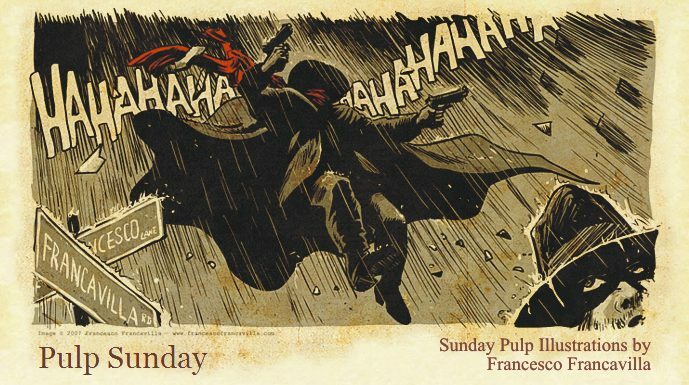 Have a great Pulp Sunday my friends. "Crime Does Not Pay! The SHadow Knows!!!" you know what happens when you put together an old lady who is not that harmless and innocent as she looks (and who has a passion for nickels and murders ;)), his son who is running quite a shady business, a bunch of rats which are as big as cats, the dirty and rundown hoods close to the river, and the Shadow? Click on the image to see it with some colors I just put on it this morning. I am sorry about not having any illustrated radio show today, but I am juggling three projects under tight deadlines and the spare time is very little. Hope you all forgive me. But I didn't want this Sunday go without a little piece of Pulp (just a 5% - I know the Superbowl has taken the remaining 95% of this SUnday ;)) so here are the original washes for my cover to Zorro #14, this month in previews for pre-orders. And if you click on it, you will see the final color version that went to print.